Acrylic Electronics Case - Zen Toolworks, Inc.
Hello again! 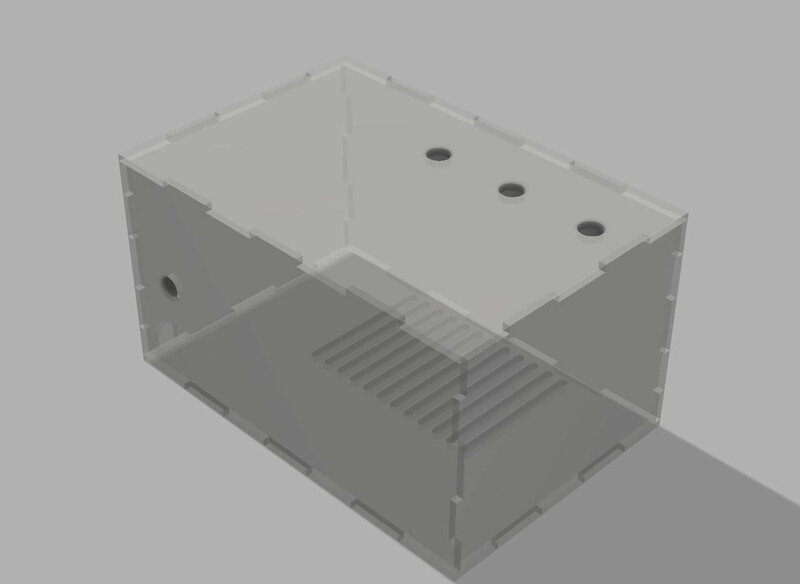 In this blog post, I will explain to how to make a clear acrylic case to house the electronics for the Zen Toolworks 7×12 CNC Machine. It is meant to keep debris out of the electronics in order for them to have a longer life. This is especially important when carving metal and shavings might short circuit your electronics. 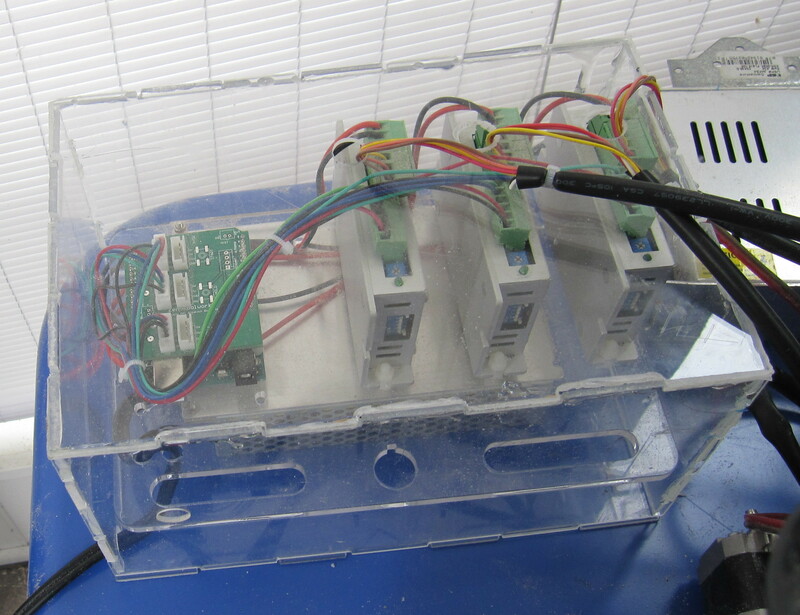 I designed each of the six sides of the enclosure as separate pieces, so that they might more easily be cut out. I first started with the top and bottom pieces. Start by right clicking on the name of your project and selecting New Component. Roll over the newly created component and select the circle next to it. This will let you modify a piece without changing the other parts of the box. Start a new sketch and press “R”. 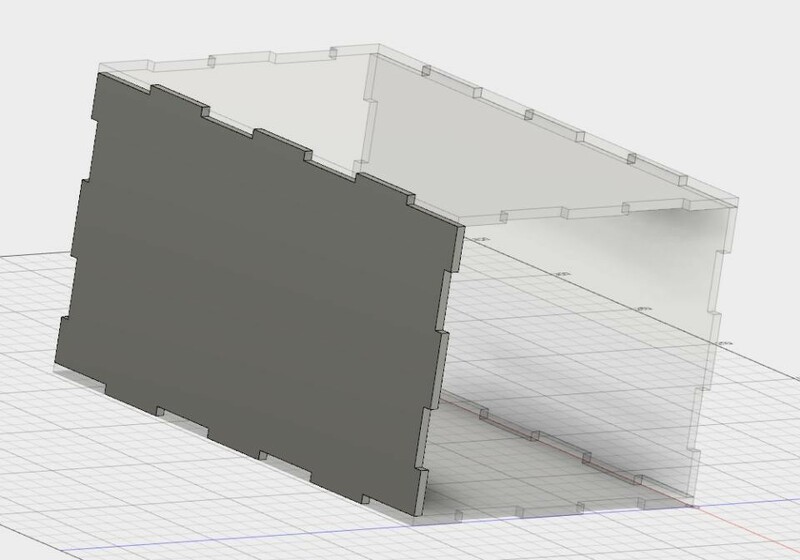 Create a rectangle that will be the size of the usable interior area of the base of your enclosure. I started by making the bottom plate. 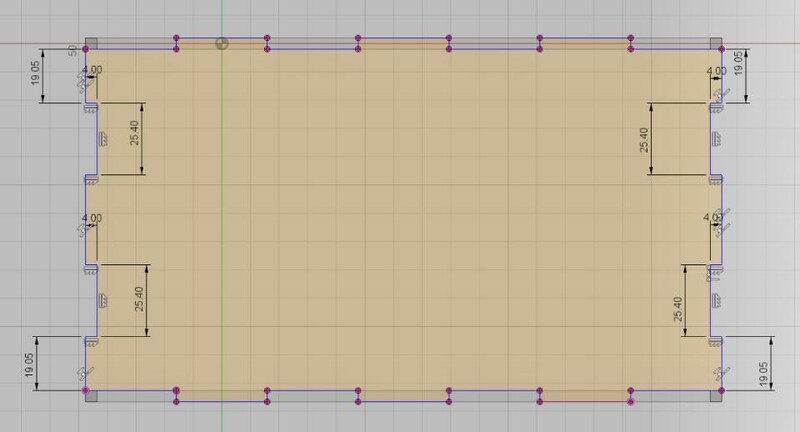 After I had the correctly sized rectangle, I created multiple rectangles around the edges of the first rectangle to act as tabs to hold the box together. After you have made the number of tabs that you want, press “D”, select the various lines, and change the distances between the rectangles. Make sure that the height of the tabs is about as thick as your material, and that all of the tabs on each side are equally spaced. Once the outline is complete, press “T” and trim off all of the extra lines that you do not need. Press Stop Sketch. Press “Q” to extrude the design to your correct material width. 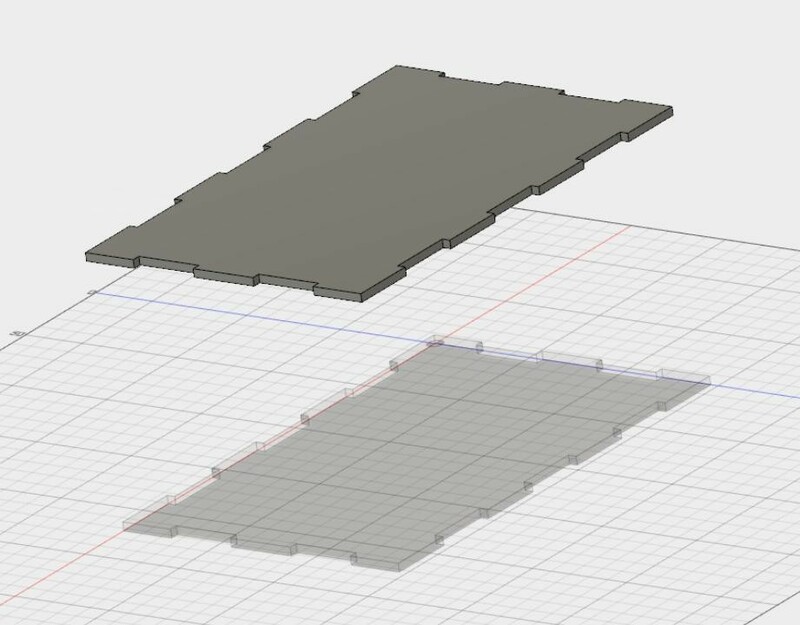 Copy and paste the component, so you now have two identical components. 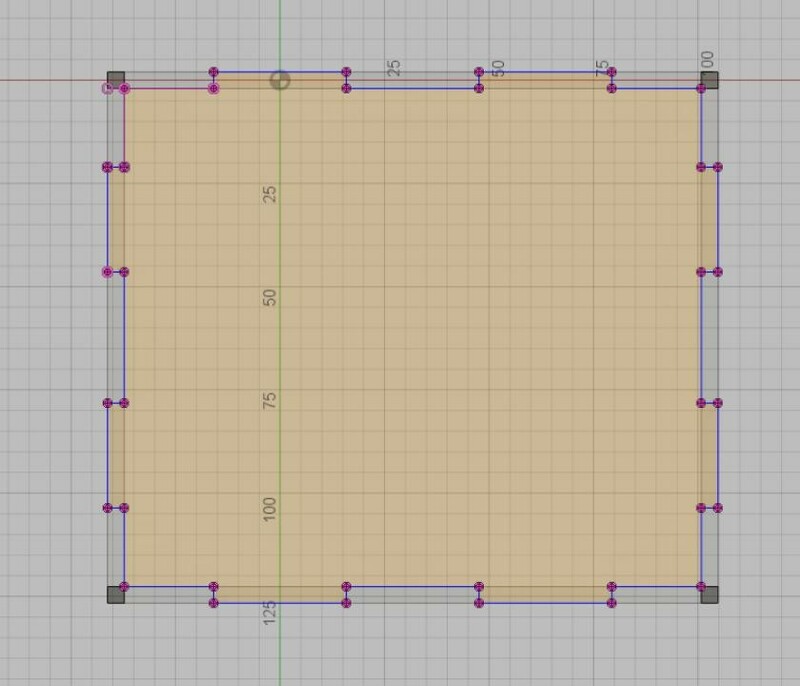 Select “M” and move one of the components so that the length between the inside faces of the components will be the height of the volume you want to contain. Make a new component and activate it. 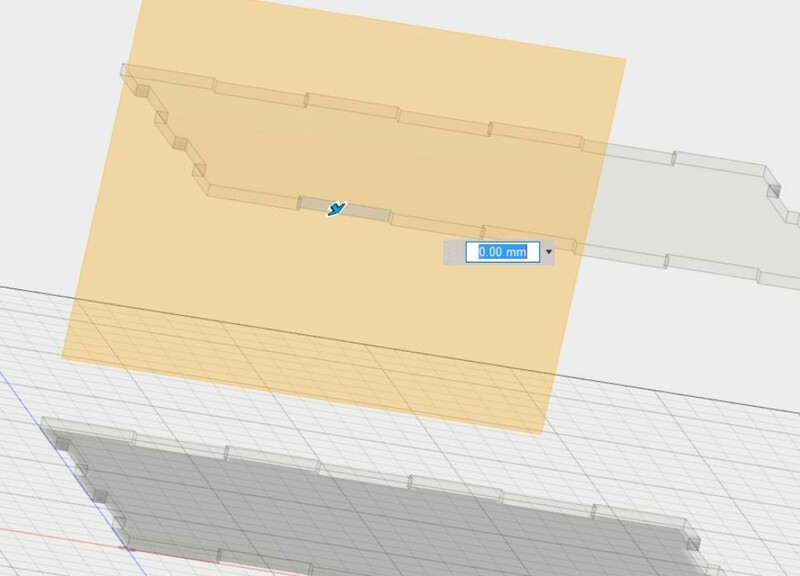 Select Construct -> Offset Plane and select one of the inner portions of a tab on the long side. This will create a new plane to sketch off of. Press “L” and select the plane that you just created. Draw a line following where the first component intersects with the plane. This will be the edge of the new piece. Draw lines between the two finished components. Select “R” and make new tabs on the inside of this line. Press “T” and trim off the excess lines. Copy and paste the component that you just created, so you now have two identical components. Select “M” and then select Transform -> Point to Point. This will make it easy to move the component to the correct location. Select Construct -> Offset Plane and select one of the inner portions of a tab on the short edges. This will create a new plane to sketch off of. Press “L” and select the plane that you just created. Draw a line following where the components intersect with the plane. Copy and paste the component, so you now have two identical components. Select “M” and then select Transform -> Point to Point. This will make it easy to move the component to the correct location. After you have all of your components, you need to make the holes to let various cables out of the box. Make 3 holes on the top to let out the stepper wire cables. Make a hole in the front to let in the communication cable to the computer. make a hole on the side to let out the power cable. Under the Setup tab, select the correct body. Under the Stock tab, change the mode to relative size box. Select the correct tool under the Tool tab. I used the 1/8″ Flat Endmill because it can cut through the material quickly. Under the Geometry tab, select all of the holes and the outline of your piece. Under the Passes tab, I selected Multiple Depths and set a Maximum Stepdown of 0.25 mm.